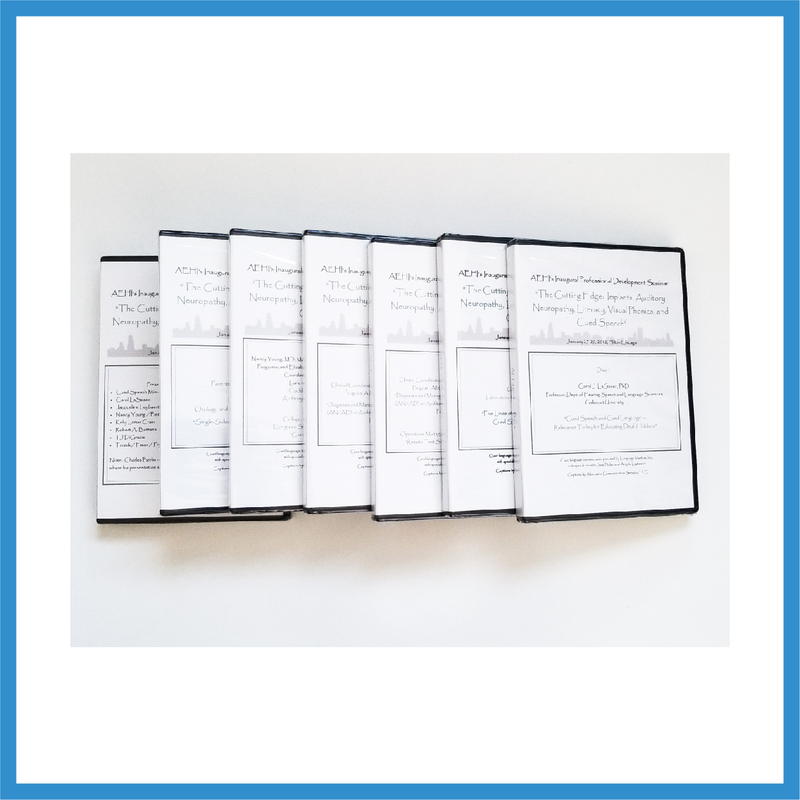 * All DVDs are captioned and have Cued Speech transliteration. 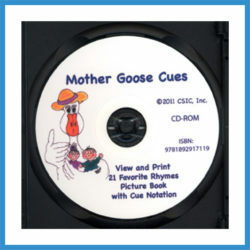 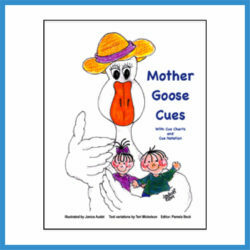 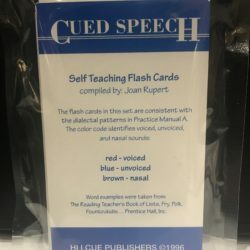 DVD #1: Cued Speech and Cued Language: Relevance Today for Educating Deaf Children. 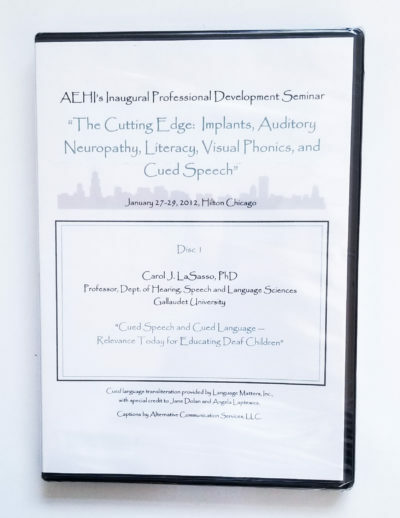 Carol LaSasso, PhD; Professor, Department of Hearing, Speech, and Language Sciences; Gallaudet University. 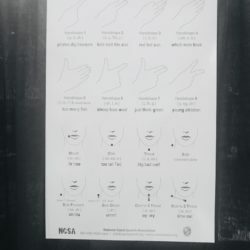 See/hear how Dr. LaSasso’s 40 years of research and experience support the premise that deaf children are capable visual learners who, with unambiguous access to English via Cued Speech, can and do achieve age-appropriate language and literacy levels. 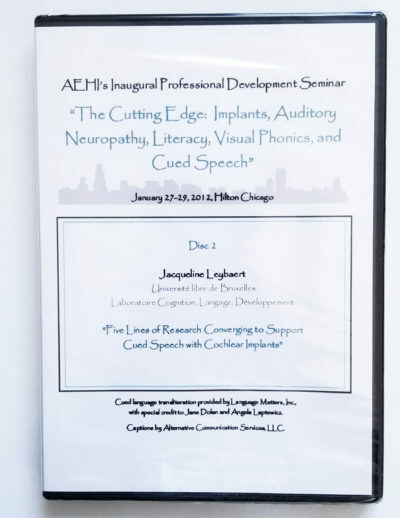 DVD #2: Five Lines of Research Converging to Support Cued Speech with Cochlear Implantees. 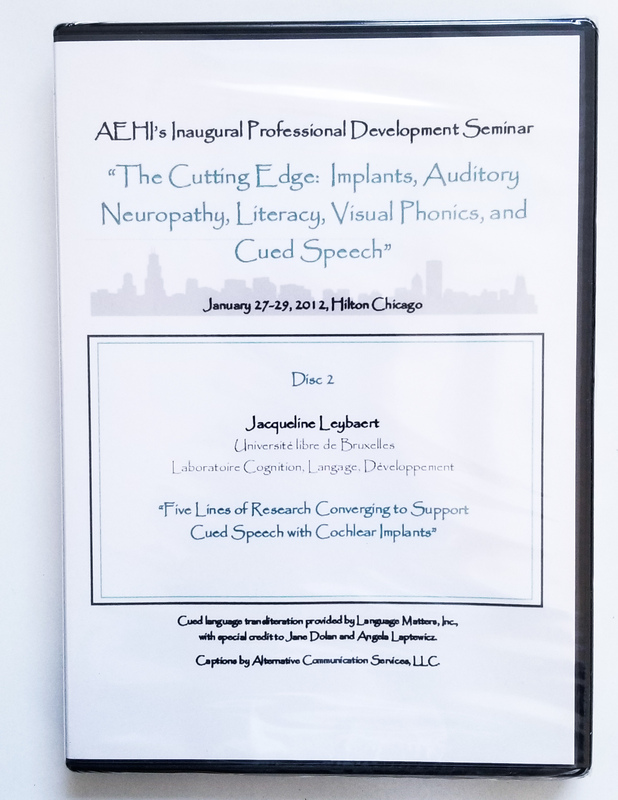 Jacqueline Leybaert, PhD; Professor, Université libre de Bruxelles. 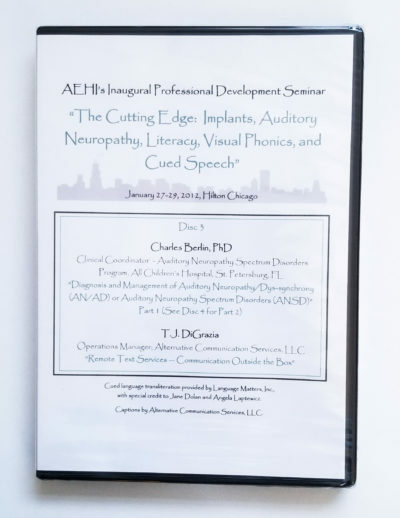 T.J. DiGrazia, MBA, Director of Operations, Alternative Communication Services, LLC. 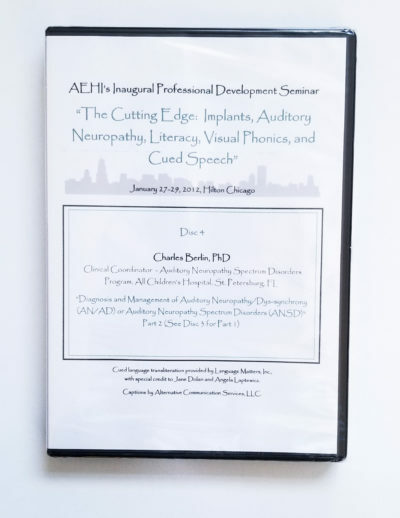 DVD #5: Cochlear Implantation in Children with Auditory Neuropathy Spectrum Disorder. 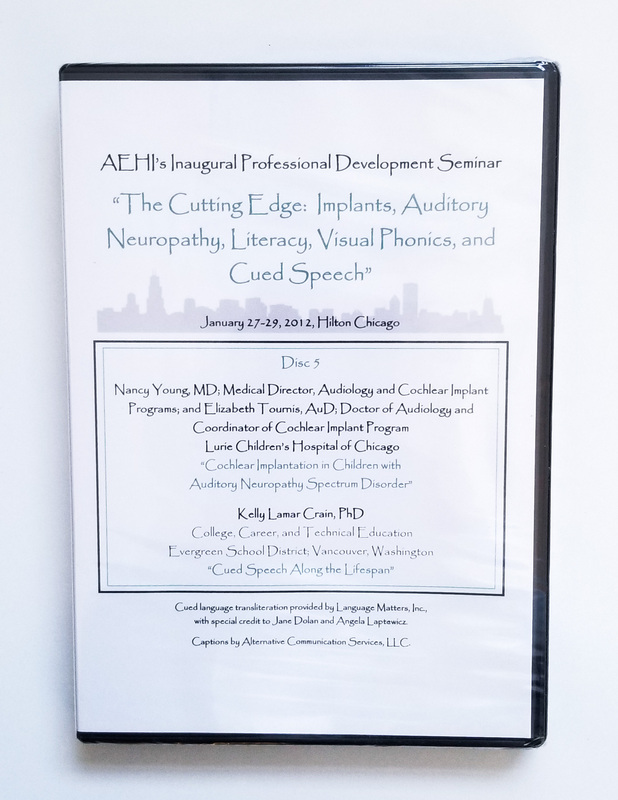 Nancy Young, MD; Medical Director, Audiology and Cochlear Implant Programs and Elizabeth Tournis, AuD; Doctor of Audiology and Coordinator of Cochlear Implant Program; Lurie Children’s Hospital Chicago. 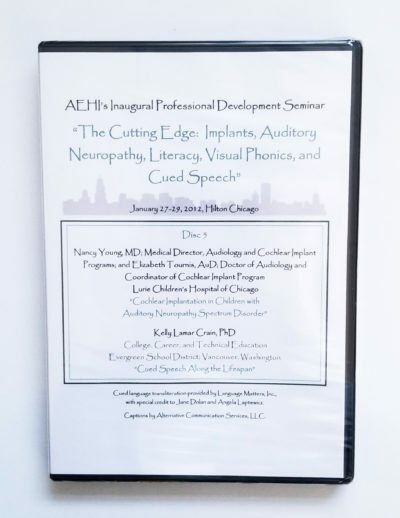 Cued Speech Across the Lifespan​. 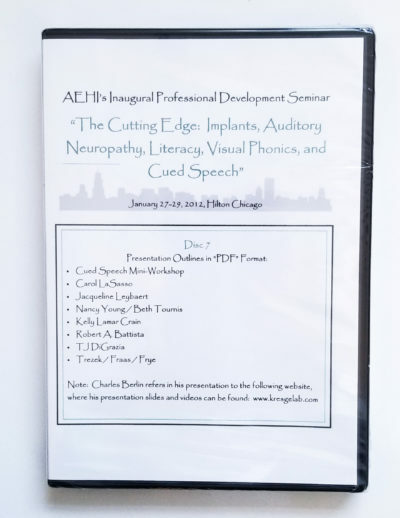 Kelly Lamar Crain, PhD; Assistant Professor, Aural Habilitation/Deaf Education; University of South Florida, Tampa. The Latest Treatments for Single-Sided Deafness. 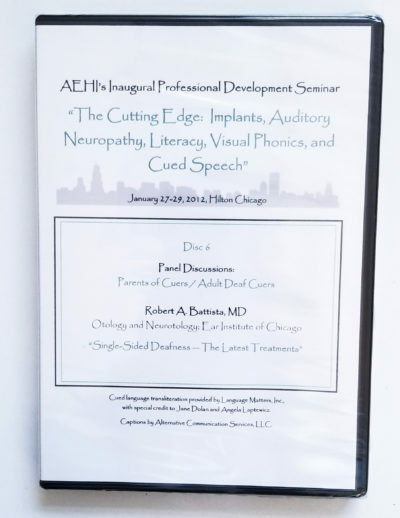 Robert A. Battista, M.D; Otology and Neurotology; Ear Institute of Chicago. 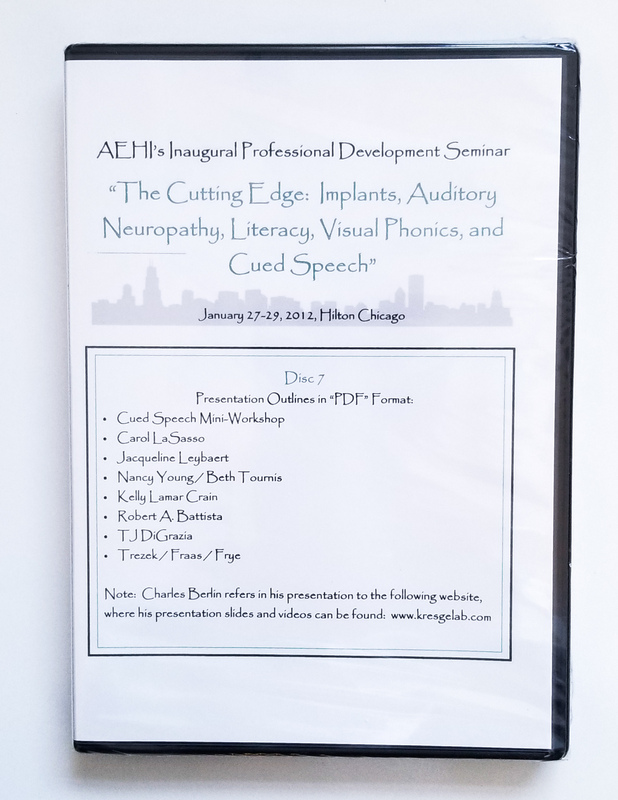 Beverly Trezek, PhD; Assistant Professor, Literacy and Specialized Instruction; DePaul University, Chicago: Introducing Cued Speech to Support Literacy: Instruction in a Sign Bilingual Setting (co-presenting with Allison Fraas and Nicole Frye from the Illinois School for the Deaf) No video — see disc 7 for outline only.